So today the Jewish religion celebrates the holiday of Yom Kippur. 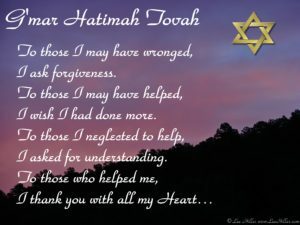 Yom Kippur for those who do not know is the most solemn and second only to the Sabbath as the holiest day of the year in Judaism. Its central themes are atonement and repentance. Jewish people traditionally observe this holy day with an approximate 25-hour period of fasting and intensive prayer, often spending most of the day in synagogue services. (This is referenced from Wikipedia.) 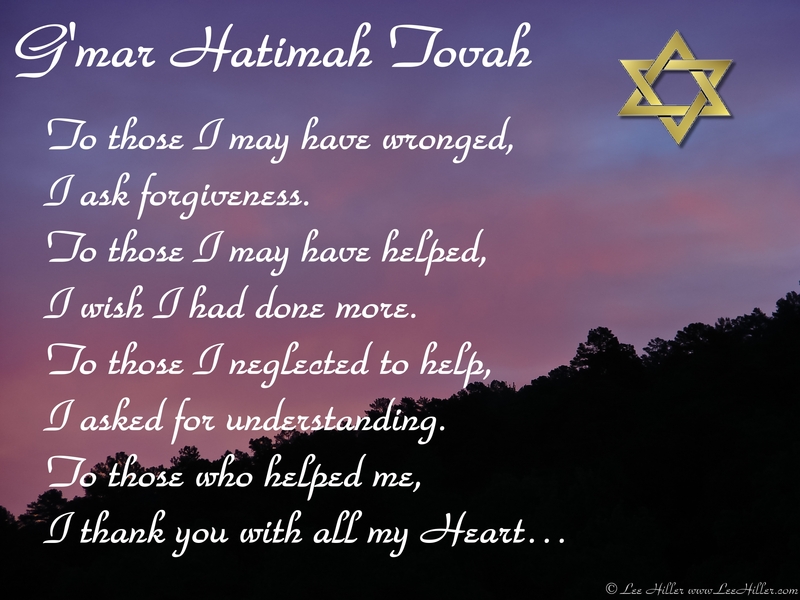 Now, I was raised Jewish and consider myself to be a good Jew even though I may not go to temple today (or ever for that matter) or fast. To me, religion is more about how we treat each other than whether or not we have good attendance at temple/church or regardless of whether you stop eating for a day. I would also like to put a different wording to “atoning for sins or repentance.” I think the best way to look a this day is no different than how we should look at any day of our lives- as a constant learning process. The best part of being a primary care physician, especially now that I have much more time to spend with patients, is that I really get to see people at their best and worst. I get to deeply learn about the human condition. And as a fellow human, I realize that we all have done and/or said things that we are not proud of. None of us are perfect nor will we ever be. Making mistakes is part of the learning process, and yes some are worse than others, but if we examine them and learn from them we can all grow and become a better person as a result of it. Right now in society there is a lot of rancor and venom being spread around. There is a lot of personal, internal unhappiness being projected or displaced onto others. When this happens, the cycle just repeats and repeats itself and the end result is no one ever heals- neither the person who was hurt nor the person that caused the hurt. We end up just hurting ourselves even more. So realize we are all human….and we all screw up, but…we can apologize to ourselves so that we can heal from within and then…help others do the same.